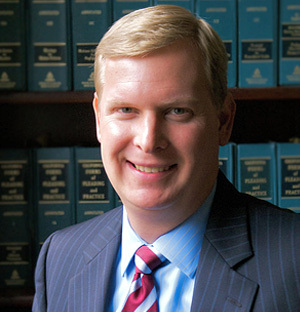 Have you been injured in an automobile accident, slip and fall or other injury? Hamilton & Associates, APC is a full service business law firm that handles incorporation, corporate governance, and business litigation. Whether an individual homeowner or homeowners association, Hamilton & Associates, APC has a proven track record. Does your family have an estate plan to control the distribution of your wealth upon your death? Hamilton & Associates, APC aggressively defends criminal charges such as DUI, misdemeanors and felonies ranging from assault to murder. Your family members are the most important people in your life. Ensure that they are provided for should something happen to you. Contact an estate planning lawyer to guide you in making tough decisions now so that your family is taken care of later on. San Diego estate planning lawyers have the experience and knowledge to help you prepare for the future by offering estate planning counsel. Establishing a will is more than just designating your final wishes after you have gone. This is an important step in estate planning that allows you to designate exactly how you want your property and assets distributes. This step is an important one to guarantee that your family is protected and taken care of and there are no surprises after you are gone. Contact San Diego estate lawyers to establish a will or trust and ensure a smooth transition for your family. Knowing that your hard work will provide long-term financial security for your loved ones is priceless. Don’t risk losing all of that. Whether you are looking to simply draft a will or are looking for guidance in establishing a trust, an estate planning lawyer will walk you through the steps from start to finish. Meeting with an estate planning attorney to draft a will is a guaranteed way to know that your after-death wishes will be carried out and upheld in a court of law. You have the ability to divide assets and property as you see fit. Naming a beneficiary assures that your property stays with your family and the state won’t have a say in where your possessions go. It is also crucial to know that your children will be well taken care of should something happen to you or your spouse. Establishing a legal guardian is an essential step in drafting a will. For peace of mind and security of all you have worked for, contact San Diego wills and trust lawyer. When your children aren’t yet old enough to be a beneficiary or be trusted with your financial portfolio, establishing a trust could be the better legal option. Consult with a San Diego Estate planning group to start the legal paperwork process of naming a trustee. The duties of an estate planning attorney including advising both the trustees and beneficiaries of legal rights and obligations. Educational trusts may also be something to consider to have peace of mind that your children’s education is taken care of. The options are endless, so consult an attorney with experience in establishing trusts to decide what options are best for you and your family. While establishing a will or trust is so important for you and your family, having an estate planning lawyer to administer the estate of the deceased is equally as important. An estate planning attorney’s job during probate is to distribute assets to listed beneficiaries and provide legal services for whatever may arise during the probate process. An attorney with an extensive knowledge of the probate process is advisable so that they can handle any unfamiliar issues such as taxes, stocks, bonds, annuities, or real estate. Business owners, shareholders, investors, or non-profit organizations benefit from hiring a corporate attorney for legal counsel in that it ensures you reach legal solutions and provide appropriate legal documentation for every part of your business. A San Diego corporate lawyer will thoughtfully problem solve your legal issues and work to improve the bottom line for your business. It is important you hire a San Diego incorporate attorney that knows the ins and outs of your business, is dedicated to growing your business, and works to protect it for the long term. There are many decisions to make and options to consider when running a successful business. Legal issues shouldn’t have to be another item on your already long list of things to do. 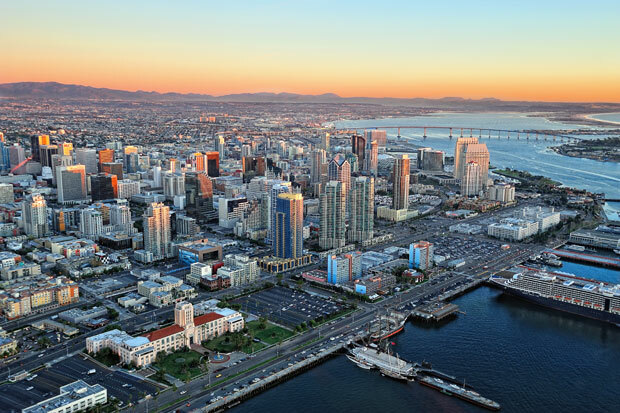 Entrust your legal business matters to a San Diego corporate attorney. We offer services no matter what stage of running a business you are in. Starting a business is a daunting task. An incorporation attorney will advise you in choosing an entity for your business. Choosing the right entity guarantees you get all the benefits and breaks that fits your business. Schedule a consultation today. Business offers and sales must be reviewed for securities. Then necessary paperwork must be filed such a registration, qualification, or exemption. For securities assistance, a corporate attorney can help. Creating a legally binding agreement between two working parties makes establishing terms and conditions of the working relationship easier and legally enforceable. An oral handshake agreement is difficult to prove and to agree upon what was originally decided. Hire an attorney to help establish legally written agreements and contracts that will hold up in court. There are many factors to consider in mergers and acquisitions law. Business owners must think about tax consequences, transferring existing contracts and agreements, liabilities, and filing legal paperwork to complete the transaction. Defer to a corporate lawyer to analyze needs and decide on specific requirements so you can go back to making the important decisions to run your company. At Hamilton & Associates, APC, we’re not finished unless you are satisfied. Under the direction of a large American bank, a collection and foreclosure service broke into our clients’ home claiming that our clients had defaulted on their mortgage payments. Our clients brought suit against the bank and its collection service for loss of property, conversion, and negligent infliction of emotional distress and won. Result: Refinance For Client and Monetary Settlement. A negligent driver ran a red light and struck the side of our client’s van causing a head trauma and fractured clavicle to our 80 year-old client. We fought for the settlement she deserved after she was treated for injuries, resulting in a significant recovery despite client’s failure to wear a seatbelt. Result from Foreign Object in Food. Our client was traveling on a US airline. During the flight he ordered a sandwich. When he bit down, a small stone broke one of his front teeth. The damage required the damaged tooth to be removed and replaced. Following extensive litigation in superior court and the uncovering of past wrongdoing on the past of the airline, Hamilton & Associates, APC achieved a great settlement. What are Civil Right Cases? Criminal offenses and civil offenses are generally different in terms of their punishment. Criminal cases will have jail time as a potential punishment, whereas civil cases generally only result in monetary damages or orders to do or not do something. Note that a criminal case may involve both jail time and monetary punishments in the form of fines. A defendant in a criminal case is entitled to an attorney, and if he or she can’t afford one, the state must provide an attorney. A defendant in a civil case is not given an attorney and must pay for one, or else defend him or herself. What are Criminal Defense Cases? Crimes in a Criminal Defense case must generally be proved “beyond a reasonable doubt”, whereas civil cases are proved by lower standards of proof such as “the preponderance of the evidence” (which essentially means that it was more likely than not that something occurred in a certain way). The difference in standards exists because civil liability is considered less blameworthy and because the punishments are less severe. A formal request to an insurance company asking for a payment based on the terms of the insurance policy. Insurance claims are reviewed by the company for their validity and then paid out to the insured or requesting party (on behalf of the insured) once approved. With over 52 years of combined experience, Hamilton & Associates, APC has extensive experience resolving issues across numerous practice areas. With a budget-conscious and solution-oriented approach, we focus on achieving results, not fees. At Hamilton & Associates, APC, we're not finished unless you're satisfied. A legal internship is ideal for undergraduates thinking about entering law school and pursuing the practice of law.